Massage has the ability to break up scar tissue caused by injury and repetitive use. By doing so you can increase range of motion, reduce muscle tension and reduce the occurrence of chronic pain. Our highly trained therapists customize each session to your specific needs. At Camino Massage Therapy, we believe in the benefits of therapeutic massage. We use a combination of Neuromuscular Therapy, Myofascial Release, Trigger Point Therapy, Sports Massage, & Stretching to give you the best massage you’ve ever had. Not only will you experience less pain and more function, but you will leave in a state of deep “Camino” relaxation. Call 719-299-0820 to schedule. A combination of Neuromuscular Therapy, Myofascial Release, and Deep Tissue techniques to give you the most benefit for your specific issue. These techniques have the ability to increase range of motion, reduce muscle tension and the occurrence of chronic pain, as well as loosen adhered tissue that has become restricted due to injury or over use. Corporate massage attracts and keep employees, while also keeping them productive. Ashiatsu feels deeper but more relaxing than a traditional massage. Having a therapist surf up and down the length of your body is truly a unique experience. This technique provides a depth unmatched by other techniques. Gravity lets the practitioner apply more weight and pressure than in a traditional deep tissue massage. The therapist is able to really sink into the tissue. Ashiatsu’s effectiveness comes from treating all layers of your tissue and your entire body as a whole. It irons out tight muscles, is incredibly soothing to the nervous system and thus relaxing for the entire body. It’s the better way to get deep tissue massage! Pregnancy Massage utilizes a comfortable, secure side lying position. You will be completely supported by pillows. We use a combination of different therapies to help relive pain and help you relax. Prenatal Massage helps to relieve nausea, increase circulation, increase flow of nutrients to the placenta, aids in postural realignment. gives relief to joint discomfort, relieves minor edema by aiding in venous return. Our therapists are highly trained in Prenatal Massage and are looking forward to caring for you. Private Yoga classes at Camino are designed based on your health history and wellness goals, such as improved joint strength for better balance, increased flexibility for better posture, and decreased stress for a healthier mindset. 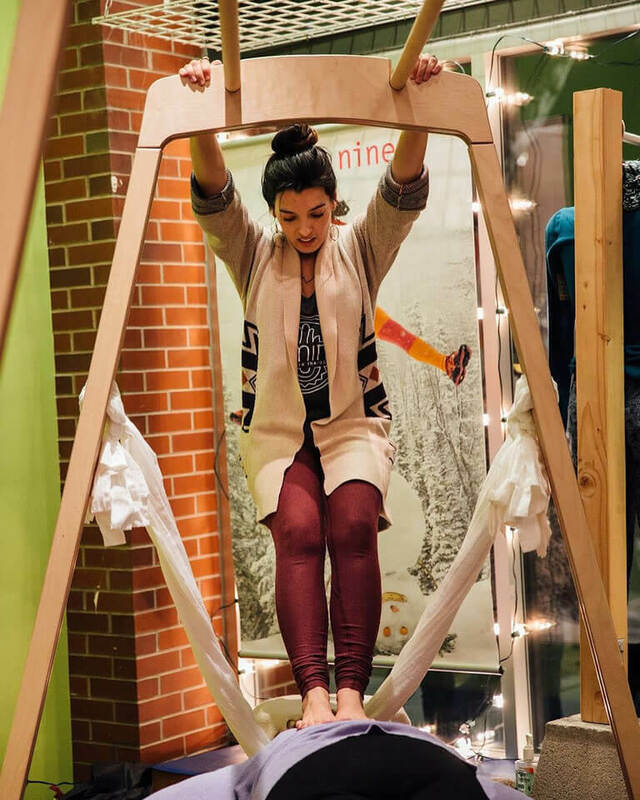 Classes incorporate a custom of asana, breath work, and aromatherapy. You will receive personalized support for optimal alignment in your body during each pose, as well as practical ways to maintain your practice at home. We offer an array of therapy services and massage in Colorado Springs to both new and current clients alike to help remedy those persistent pains that are due to previous injuries, overuse, tension, strain, and stress. It is our passion to help lessen and eliminate that unrelenting pain and discomfort people are convinced will be part of their lives forever. We are excited to welcome you to our modern, clean, and calming haven. Thank you for choosing Camino Massage Therapy for your next massage in Colorado Springs! Ryan graduated from The Colorado Institute of Massage, with a certification in NMT. She is recently trained in Ashiatsu Massage. She uses Deep Tissue, Trigger Pt. & Myofascial Release to maximize results & reduce pain. She has an understanding of pain, giving her empathy & heart for those with it. Erin is a Southwest native, growing up along the coast in the most southern tip of Texas. At age 19, she began her career studying massage therapy in Austin, Texas, earning her Massage Therapy Diploma in 2002 followed by multiple certifications including becoming a Certified Neuromuscular Therapist and Certified Ashiatsu Therapist and in 2008, obtained a Bachelor of Exercise Sports Science at Texas State University in San Marcos, Texas. 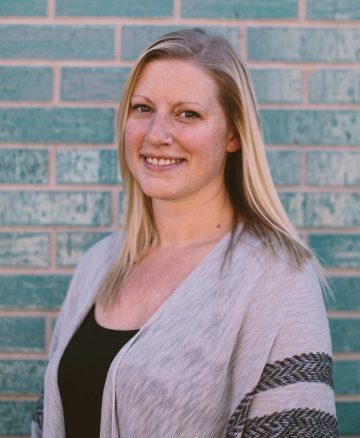 Erin combines Therapeutic Deep Tissue Massage, Myofascial Release, Neuro Muscular Therapy, Trigger Point Therapy, and Ashiatsu Massage to release muscles and myofascial tissue to restore range of motion and decrease pain. Jaimee is a Colorado Native. She graduated from the Colorado Insitute of Massage Therapy where she received 850 hours of training in Neuromuscular and Trigger Point therapy. She uses intuitive touch, stretching and joint movement to provide the best possible care. On her off hours, you can find Jaimee at the gym, practicing yoga, or exploring beautiful Colorado. Originally from Ohio, Elycia moved to Colorado to pursue a more outdoors and health-minded lifestyle. 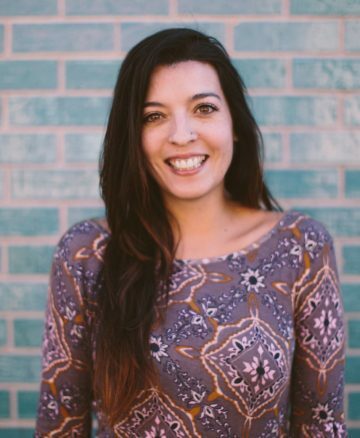 Elycia graduated from Colorado Institute of Massage Therapy in December of 2017 with her 850 hour certification in Neuromuscular therapy. She also has been teaching yoga for the past three years. 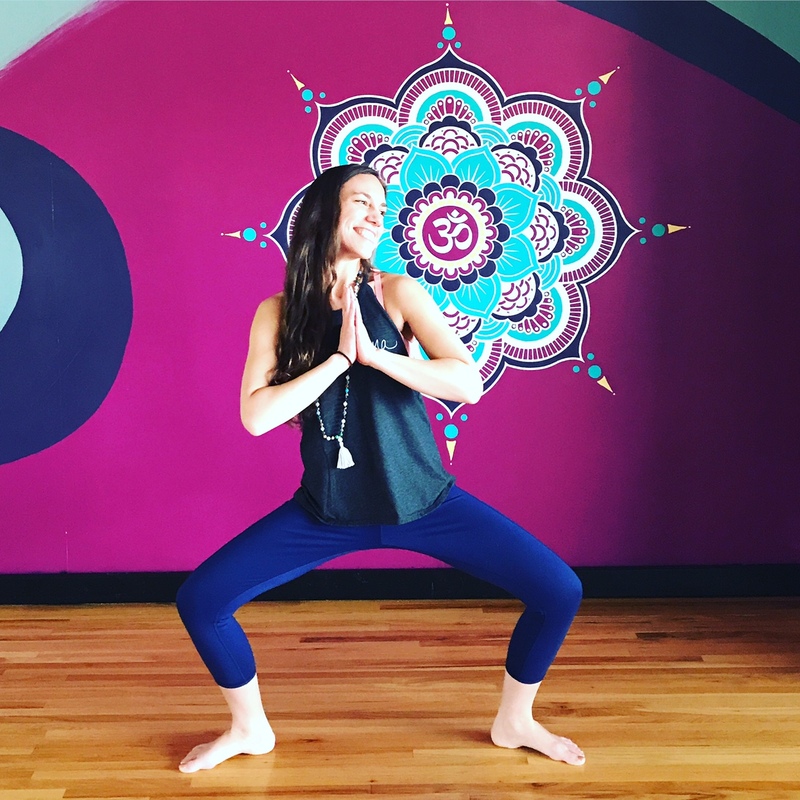 Elycia believes strongly in the mind-body connection and uses this mentality to focus on each individual in a holistic and personalized manner when massaging and teaching yoga. In her free time, you can find her outdoors with her puppy, practicing yoga, or painting. Victor is a Las Vegas Native. He relocated to Co Springs to pursue his aspirations of helping people manage their pain & stress. 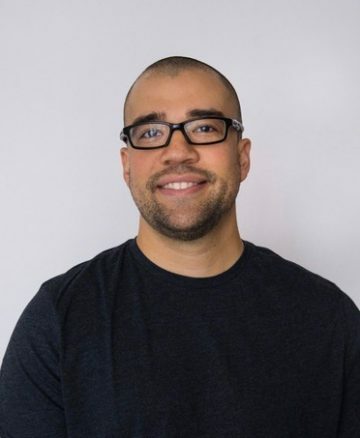 Victor uses a mindful touch & variety of techniques to meet the needs of his clients. He is NMT certified and Ashiatsu trained. 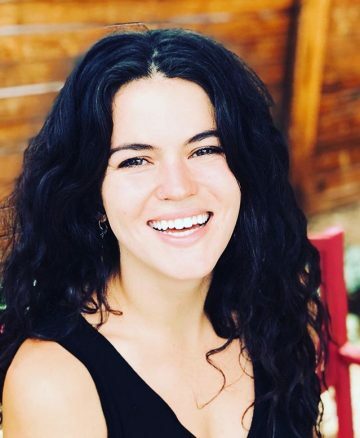 Being born and raised in Colorado Springs, Lindsey Ann has always sought the importance of adventure and rejuvenation through the beauty of the outdoors, in addition to taking care of the human body. She graduated from a distinguished Massage Institution based out of the Atlanta area. It was there that her focus of Orthopedic Assessment began. Having a background in the spa industry allows Lindsey Ann to address and fix both acute and chronic issues, while still making the massage relaxing and enjoyable. 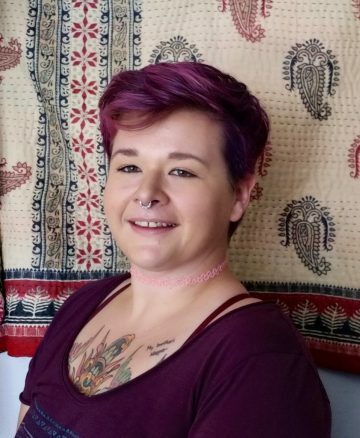 Through Therapeutic Deep Tissue, Trigger Point Therapy, Myofascial Release, and Ashiatsu Massage, she has goals in mind during your sessions that include listening to your needs and fixing the issues. Wow! What a great experience here. I came in last minute based on a beaming recommendation while visiting Colorado Springs for work. I was in so much pain from standing and presenting 8 hours a day for the past six weeks and I was doubtful anything would help. However, I saw Lindsay, who was truly a miracle worker!!! I explained how I was feeling and she went to work. I could feel her really working on my trouble areas and I walked away feeling refreshed and without pain in my back and feet. I’ve had massages all my life at various locations (from luxury spas to at home), and I have never had such a reenergizing experience. I still feel like a brand new woman. Thank you!!! My only regret is that I don’t live here and can’t come back every week. However, if I’m ever back in Colorado, I will add this to my list! PS- the owner, Erin, is phenomenal and from what I hear gives pretty epic massages as well! If you’ve got muscular pain issues – it’s well worth a trip to see Erin. She’s a skilled massage therapist with a great touch – way beyond the ‘fluff’ and into the deep, where when you climb off the table you know that something significant has been accomplished. I worked with Erin both professionally and as her client. She’s possesses excellent knowledge of the body and does a great job acquainting herself with each client’s specific needs, and then following up on subsequent sessions to make sure that all problems are addressed. 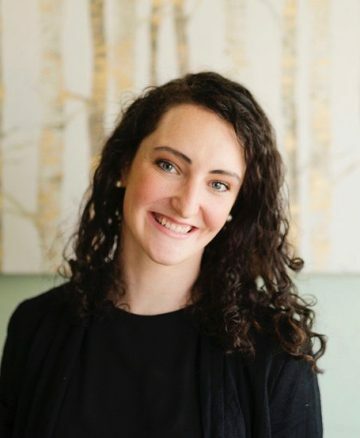 I’m absolutely a believer that a quality massage therapist is a valuable member of anyone’s health-care ‘team’ – an athlete, weekend warrior, and ‘average joe’ can all reap the benefits of Erin’s expertise! Camino Massage Therapy is the only place I will go for a massage. Their combination of knowledge, professionalism, and hospitable disposition makes for an environment that is not only comfortable, but will also instill confident in your decision to choose there. I have been going to Hannah for about a year now and she truly is a rockstar. As an Olympic hopeful in wrestling my body gets destroyed on a daily basis, and she is definitely one of my keys to putting it back together. Whether it is an old nagging injury, a new injury, or a last second appointment, Hannah truly amazes me with her ability to communicate and listen to what I need. My schedule involves me traveling nationally and internationally on a monthly basis, but I make sure that when I am home I make an appointment with Camino Massage Therapy. Every time I walk out of there I truly feel like a new man, I guarantee they will not disappoint!